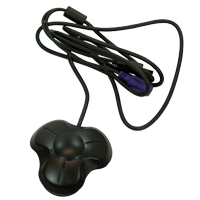 The Switch Interface from H-Mod allows the connection of multiple switches to a CPU through a single USB port. The AT-5 and AT-10 switch interfaces are truly universal, fully programmable, and easy-to-use with both the Window and Mac OS-X platforms. 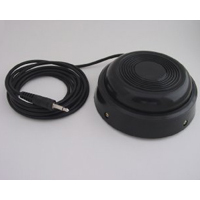 The AT-5 model supports up to 5 industry-standard assistive technology switches (the AT-10 supports up to 10), and the number of switches with each unit can be almost doubled by using Shift mode. 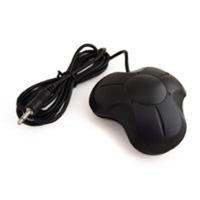 Switches can be programmed to send keystrokes, mouse clicks, double clicks, drag lock, hotkeys, or macros. (Factory defaults on the AT-5 are left mouse click, right mouse click, double click, space and enter.) 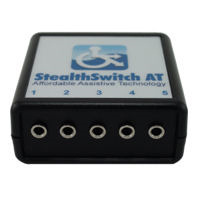 The StealthSwitch ATs are fully programmable in hardware using the included Configurator program; and once they are programmed, all settings are stored in the switch interface hardware so no software or drivers are required, even if you move the unit to another computer. The Configurator program has the ability to save an unlimited number of configurations. Also included is the RoboCon program, which automatically re-configures the switch interface based on the current application. 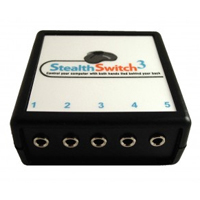 It may be used with any of the StealthSwitch II Slave Footswitches, or for other options check out our range of switches in the Switches category. Comes with a limited lifetime warranty.